Never let it be said that Lex Luthor isn’t a patient man. A plan years in the making finally launched, casting the United States into a social struggle that even Supergirl will struggle to calm. Thankfully, she has backup in the form of Lena and Alex. The trio worked against the clock to uncover all they can about Lex’s plan, uncovering more about his connections to Eve and Ben. This collection of minds proved formidable but still struggles due to Lex’s head start. Few things are more frustrating than playing catch-up with a psychopath. Especially when he has his eyes set on the Oval Office. The DEO finds Lena and Lex’s letter detailing how he duped his sister in her office. The knowledge of Lex’s escape brings Supergirl and the DEO together once again. 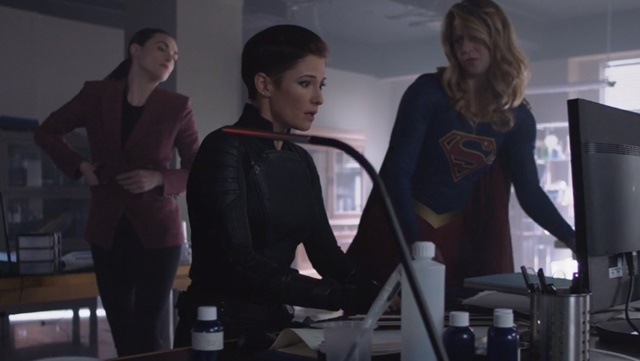 Haley allows Alex and Brainy to work alongside Supergirl to find Lex while the rest of the DEO protects D.C. ahead of the Alien Amnesty repeal vote. Kara gives Brainy back his Legion ring as Alex and Lena decide to use Eve as a route to Lex. First, they have to find her. Lena, Alex and Kara visit Eve’s cousin, Bitsie, at her aunt’s house. Bitsie denies everything, but Lena remembers that Eve had a cousin with cancer. The revelation causes Bitsie to freak, cracking the granite countertop. Eve used Lena’s serum to cure Bitsie. The trio calm her and learn that Eve had a secret lab at National City University. They head there and make a number of discoveries. Kara finds a gun similar to the one that shot James. Lena finds a blueprint of her mother’s prison with Lillian’s cell labeled. 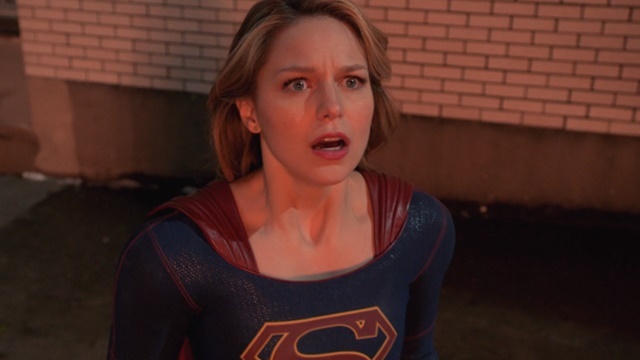 The discovery of Lena’s black Kryptonite initially upsets Kara, but Lena and Alex’s detailing of the good the element has brought causes Kara to apologize. Unlocking Eve’s computer reveals that she was experimenting on removing the serum from administered patients. Her implementation of the serum alongside the Metallo protocol points to how Otis rose from the dead, linking Lex and Ben Lockwood. The trio is attacked by one of the failed Metallo experiments, but they team up to take him down quickly. They bring the subject’s Kryptonite heart back to Brainy, but he has news of his own. The gun found in Eve’s lab fired the bullet that hit James. Eve shot James, not Manchester Black. Killing Manchester Black robbed J’onn of his self-identification. It continues to haunt him enough that he uses the Staff of Kolar to summon his father’s spirit for counsel. M’yrnn physically appears to him, berating him for failing to maintain his peaceful credo. He threatens to take away the Green Martian Sacred Symbols, prompting J’onn to lash out. He contacted his father for help, not a lecture. As the last Green martian, J’onn clings to the Sacred Symbols as a way to preserve his clan’s history and keep his memories of his daughters alive. M’yrnn decides to stay for a cup of coffee, offering his son the chance to make his case. M’yrnn soon confronts J’onn about killing Manchester Black, referring to the act as a failure on J’onn’s part. J’onn isn’t able to uphold his father’s commitment to peace because that isn’t who he is. He feels like he is losing his identity, but he only needed some provocation to finally address it. J’onn isn’t a man of peace. He’s the Martian Manhunter. M’yrnn celebrates J’onn’s self-discovery and apologizes for making it seem that J’onn had to change who he is. Bad messaging can be a bummer. J’onn still can’t keep the Sacred Symbols, but he decides to return them to the desert of T’ozz so that a worthy being can find them. His conjuring fades and he boards a ship for Mars. James is well enough to walk out of the hospital on his own power after receiving Lena’s serum. His mind isn’t as healthy. Loud noises and images of Lex trigger reactions associated with PTSD following his near-death experience. His sister, who happens to be a therapist, recognizes this, but James denies anything is wrong. He does an average job of ignoring his trigger until Kara stops by on her way to D.C. to tell James that Eve shot him. The news connects James’ attack to Lex and throws him into a still controllable emotional whirlwind. As if that isn’t enough, news breaks of the Alien Amnesty Act’s repeal immediately afterward. James and Supergirl are going to Washington. James and Kara descend on D.C. in the wake of the Alien Amnesty Act’s repeal. Ben is there too, although he is trying to understand why the vote passed when a key senator told him she was voting against the repeal. 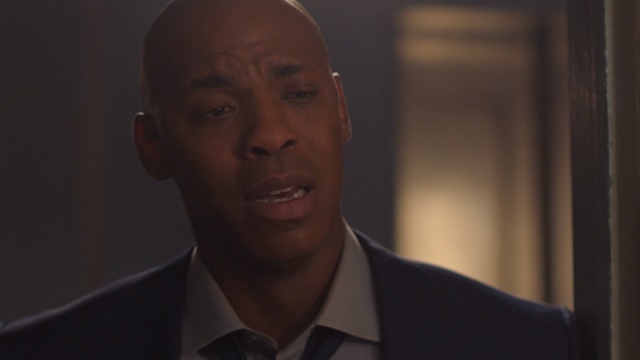 James confronts Ben in the Oval Office, accosting him about Otis’s resurrection and his connection to Lex Luthor. Ben denies everything, thought the senator’s reaction suggests that she was forcefully coerced into voting for the repeal. Outside, Kara finds Eve only to discover that she’s a hologram. 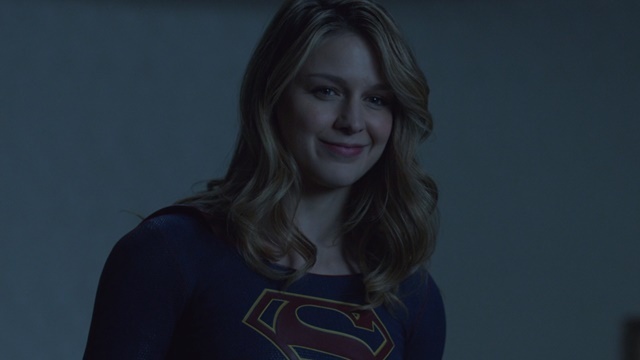 A power suit infused with Kryptonite latches onto Kara, forcing her against a wall as Snow Bird appears dressed as Supergirl. She attacks the White House as pro-alien protesters look on. Kara escapes the trap, but the damage is already done. President Baker declares martial law and names Supergirl public enemy #1. Neither Alex nor Haley buy the idea that Supergirl would attack the White House. James seeks out his sister for help with his PTSD as Alex and Lena recommit themselves to working with Supergirl. Together, they will find the truth. 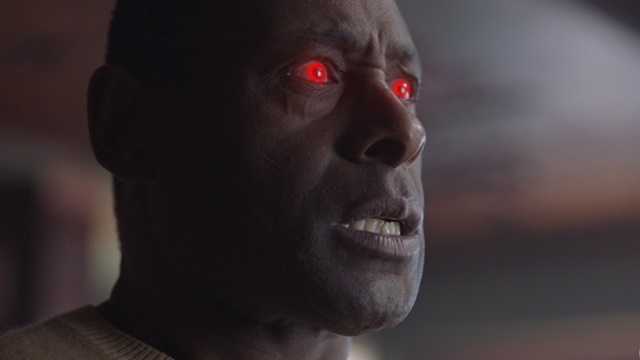 What do you think about Supergirl season 4 episode 17? Let us know in the comment section below!